Clams Bags are not just for snood lines anymore! 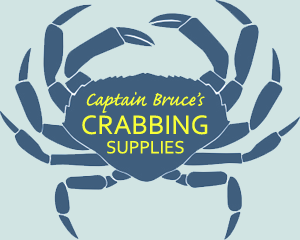 Now you can catch more crabs by using the same bait as the commercial crabbers use. 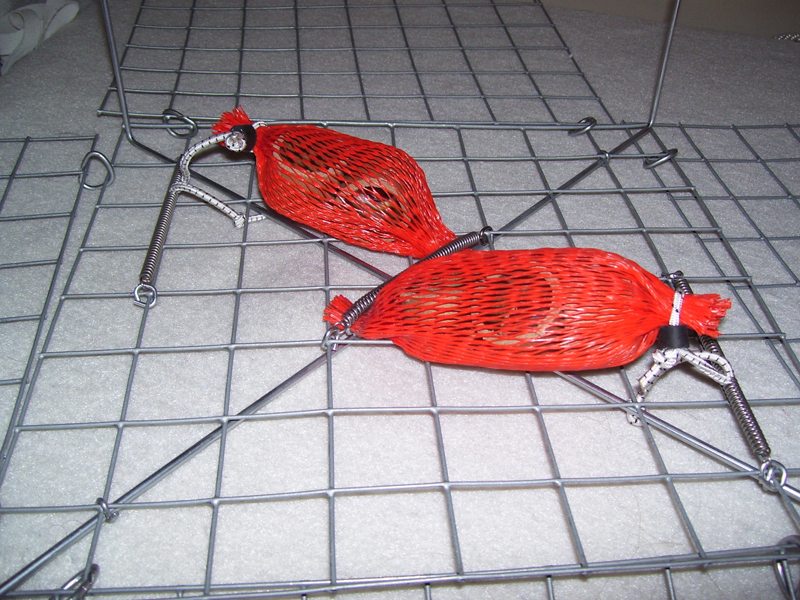 Razor clams, white perch or any kind of fish will catch crabs in your traps for bait. 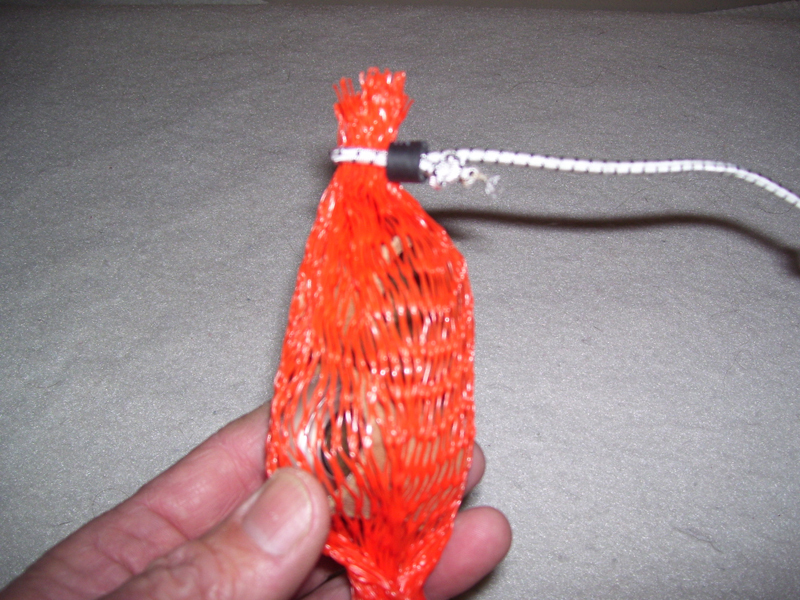 Open bait bag and load up with bait (3 clams, or chunks of fish). Put snood over top of bag and pull tight. 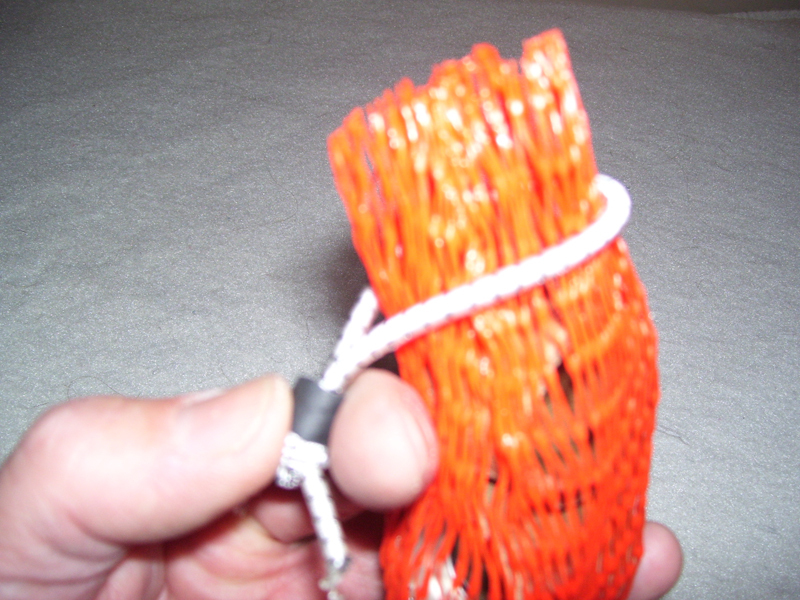 Lift SS bait spring and secure one end of bait bag (the end with the SS hog ring) under spring. 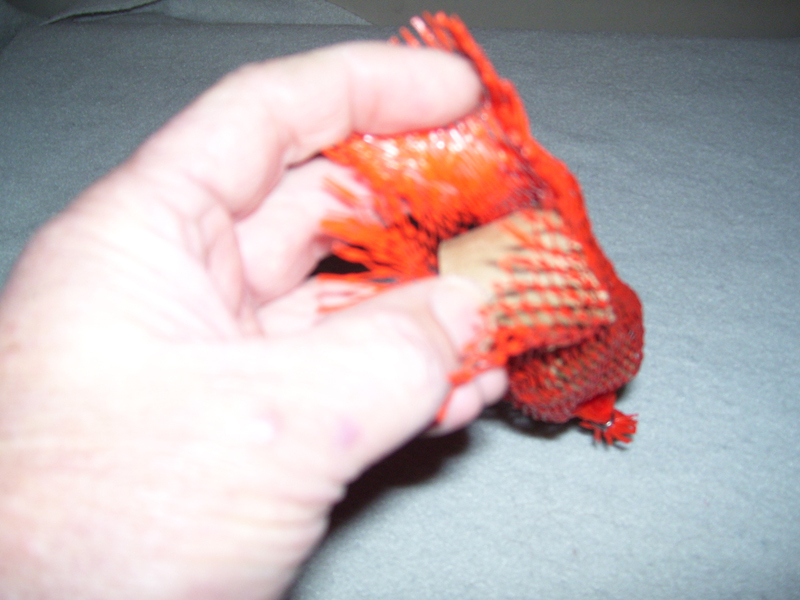 Secure other end of the bag by lifting the snood into the bottom of the spring (when you hear the snood click, it's in place). And when the crabbing day has ended, un-bait by doing the reverse action. Includes (1) bait bag and (2) snoods. 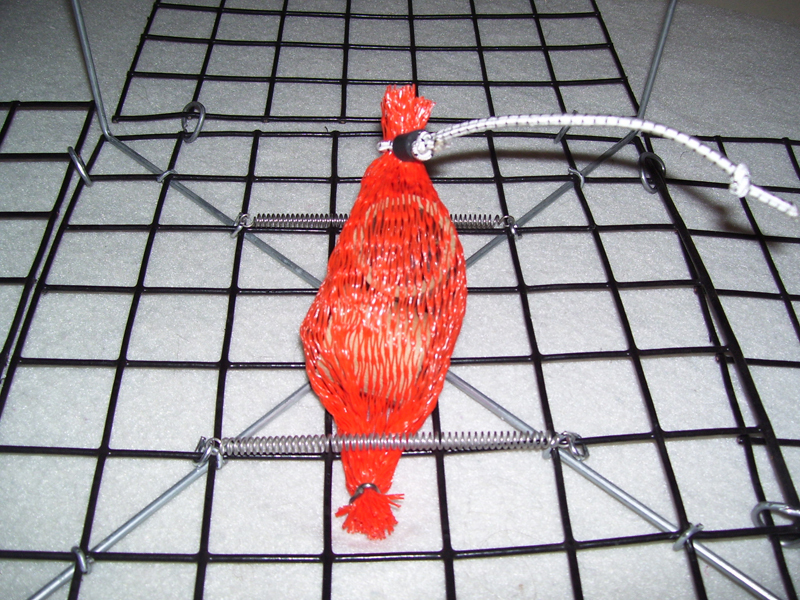 Custom-made for Little Foot size traps. If purchasing with a trap, select installed (includes free shipping). Includes (2) bait bags and (4) snoods. 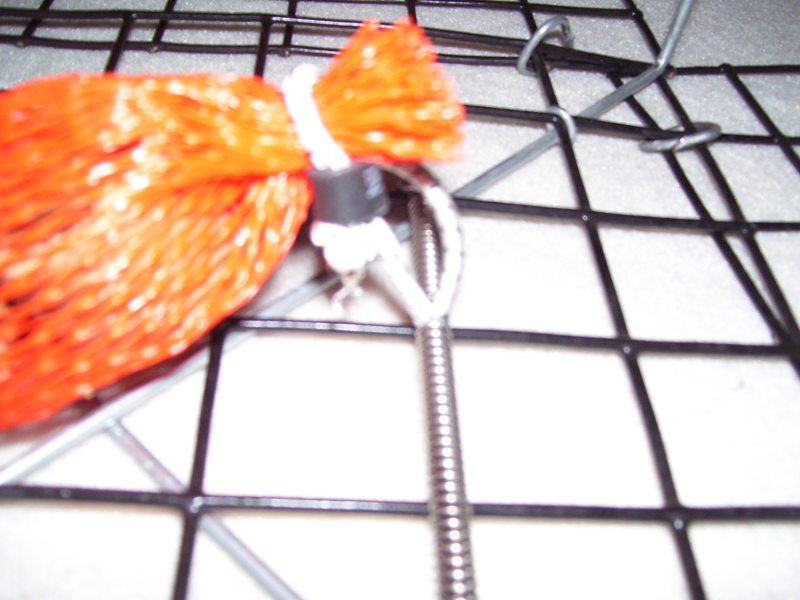 Custom-made for Big Foot size traps. If purchasing with a trap, select installed (includes free shipping). 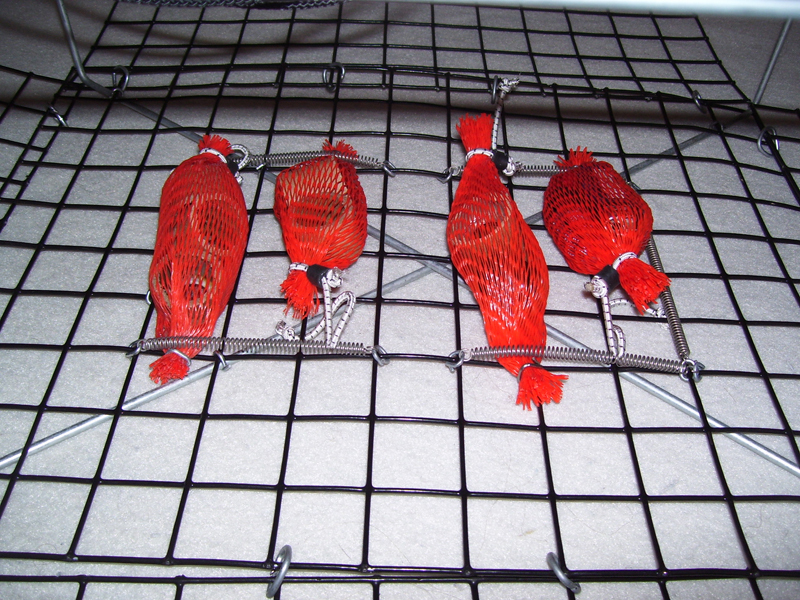 Includes (4) bait bags and (4) snoods. Custom-made for Big Gun size traps. If purchasing with a trap, select installed (includes free shipping).